To celebrate Valentine’s Day 2019, Expo 2020 has shared a touching message to the UAE. In a video posted to YouTube, a handwritten love letter to the UAE reflects on the five years since Dubai successfully won the bid to host Expo 2020. The letter, which is read out in the 90 second clip, also promises that ‘the best is yet to come’ as it looks forward to welcoming ‘you, your loved ones, and millions from around the world’. ‘To the UAE, with love and gratitude’ the post is captioned. What exactly is Expo 2020? An expo is a super-sized exhibition which sees participating nations all come together to exhibit their feats in every sector from industrial to scientific to technological. Expo’s of this scale happen around the globe once every five years, with the Expo 2020 in Dubai the first to be held in the region. Dubai successfully won the rights to Expo 2020 back in 2013. Expo 2020 will run from October 20 2020 to April 2021. What’s going to be at the site when it’s complete? More than 170 countries will be represented at Expo 2020, with the site split into three main Pavilions; Opportunity Pavilion, Mobility Pavilion and Sustainability Pavilion. A UAE Pavilion also features in the main site. It will be accessed by four different entrances, and sit adjacent to Expo Village. 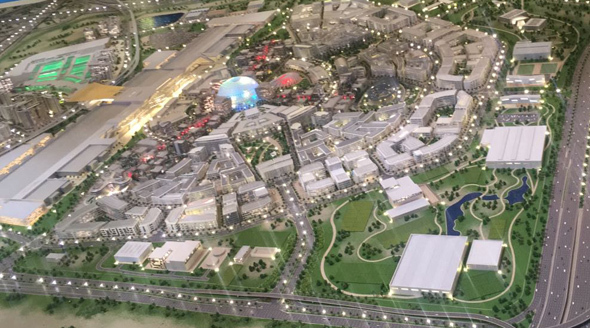 At the centre of the development will be Al Wasl Plaza, and along the plaza you’ll find restaurants, fountains and parks. 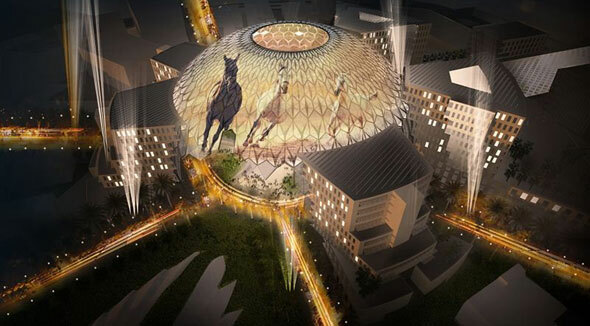 Over the top will be a 65-metre tall, 150-metre wide dome. The huge dome will transform into a giant screen at the flick of a switch, and will be visible on the translucent screen to those both inside and out of the dome. What will happen to the site once Expo is over? Well, it won’t all go to waste that’s for sure. 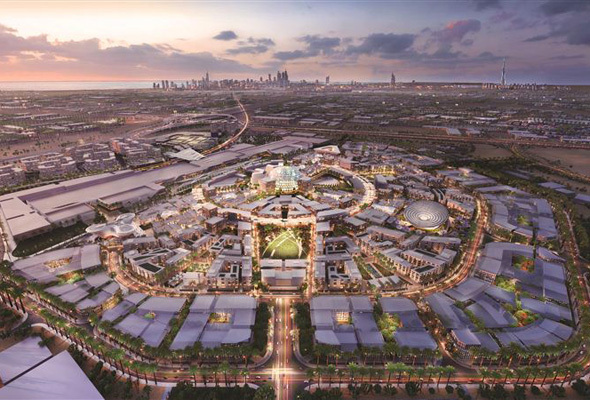 At Cityscape last year, it was revealed that around 80 per cent of the Expo 2020 site will be used as part of District 2020. The area will become a new mega-suburb complete with 65,000 square metres of residential space and 135,000 square metres of commercial space. 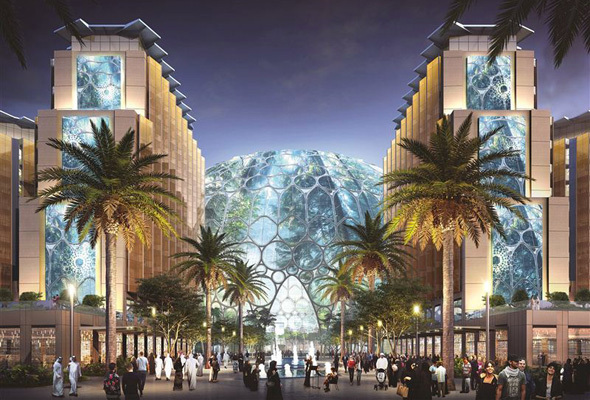 Want more Expo 2020 news? Read all about what the three Expo 2020 Pavilions are going to look like.